Boss Junior successfully completed his 30 day ridden test as a young stallion with an honourable score of 8.36. Boss Junior’s offspring inherit his charisma, dynamic action and competence. He gained 9’s in his walk, canter and rideability as well as character and willingness to learn. 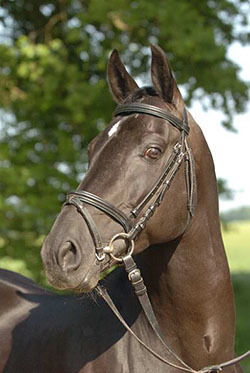 BOSS JUNIOR gained his Pony Hannover ELITE status in 2010 due to the large number of successful offspring including Best Before Midnight & Pyrmont's Bolero. 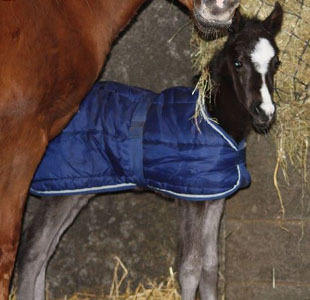 Over 80% of all his foals gain the prestigious PREMIUM title. His breeding is outstanding, deriving from the most amazing dam line. He has sired 2 licensed stallions and 2 State Premium mares as well as numerous offspring competing in dressage, showjumping and driving including Calenberg’s Tiberia, Calenber’s Bandit, Viktoria, Rosebud, Benny, Bacardi, Prymont’s Bombastique, Brighton and Tamina. He was awarded the prestigiuos SPSS ELITE status in September 2015, also in recognition of the success of his progeny, including Best Before Midnight who represented Germany at FEI International Pony Dressage in 2008 & 2009. Boss Junior's breeding is outstanding, deriving from the most amazing sire and dam lines. Sire: Boss Junior is by Boss who is also an Elite stallion. Boss was the Reserve Champion of his stallion licensing with a score of 10 for overall impression. Sire of 7 licensed stallions and 3 State Premium daughters, Boss has at least 29 competing progeny who have won over 17K Euros primarily in jumping, driving & dressage. Boss's sire, Brillant is one of the Weser-Ems foundation stallions, who sired 33 licensed sons and many successful competition ponies with his progeny winning over €240K Euros. Dam: Boss Junior's dam, the State Premium mare Moonlight was 4th at the Bundeschampionships as a 4 year old before going to stud. In 1996 she won the Mare Family Class (with her daughters, Moonlight Girl and Moonlight Lady) at the National Mare Show and, at this same show, her daughter, Moonlight Girl, became Champion of the younger mares. Moonlight has produced many licensed stallion sons and State Premium daughters. 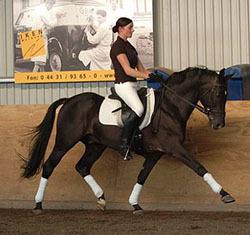 Her daughter, Moonlight Lady, is a State Premium mare who participated at the Bundeschampionships twice, was Champion of her class at the National Mare Show in 1996 and Reserve Champion in 2000 and is the dam of the Premium stallions, Ombri B and Ontonio, a Champion in the USA. Five of Moonlight Lady's full brothers are licensed stallions: Ballentines, Boss Junior, Boss Blitz R, Boss Classic R & Boss Bester R. Another full brother, Boss Bunter, competed in FEI Pony Dressage for both Holland and Denmark. 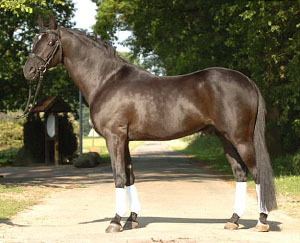 Damsire: Moonlight’s sire, Night-Star I, won his Stallion Licensing and Performance Test then became the Reserve Bundeschampion of the Jumping ponies in 1987. He was a popular and successful stallion in Westphalia until he was sold to Brazil in 1988 where he continued his career. In just 5 seasons in Germany he produced 5 licensed stallions and several licensing champions. He is also the sire of the successful Eventing pony, Nelusko, who won Team Gold and Individual Bronze at the Pony European Championships in 1996, Individual Gold in 2000 and Team Gold in 2002 under a different rider each time. 17 of Night-Star's daughters were awarded the title of State Premium and several were Champion or Reserve Champion of the Elite Mare Show in Westphalia. 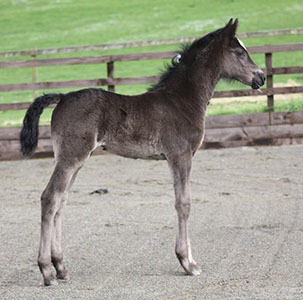 Overall, Night-Star I's progeny have won over 45K Euros, predominantly in jumping but they are also successful in dressage. Boss Junior successfully completed his 30 day ridden test as a young stallion with the good score of 8.36. He gained 9s for his walk, canter & rideability as well as for character & willingness to learn. Since then Boss Junior has focussed on his breeding career and the quality & success of his progeny resulted in him being awarded ELITE status by the Pony Hannover Verband in 2010. Boss Junior’s full brother, Boss Bunter, competed in International FEI Pony Dressage for both Holland & Denmark and another full brother, Ballentines, is a successful showjumping pony. 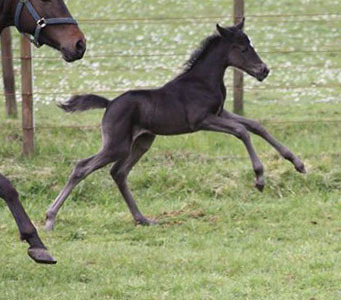 Over 80% of all Boss Junior’s German foals gain the prestigious Premium title and his older offspring include the licensed stallions Best Before Midnight & Prymont’s Bolero, who compete successfully in dressage & driving respectively. He has also sired 2 State Premium mares as well as numerous offspring competing successfully in dressage, showjumping & driving including Calenberg’s Tiberia, Calenberg’s Bandit, Viktoria, Rosebud, Benny, Bacardi, Prymont’s Bombastique, Brighton and Tamina. His UK born offspring are still only young but are already winning championships in the show ring including Romanno Pretty Lady who also gained a prestigious SPSS Gold Premium award when evaluated as a yearling. Boss Junior’s offspring inherit his charisma, dynamic action & competence. With his proven ability as a sports pony sire he is expected to suit a range of mares adding athletic uphill movement, superb temperament & easy trainability. Boss Junior is homozygous black which means that he will never have a chestnut foal regardless of the colour of the mare.